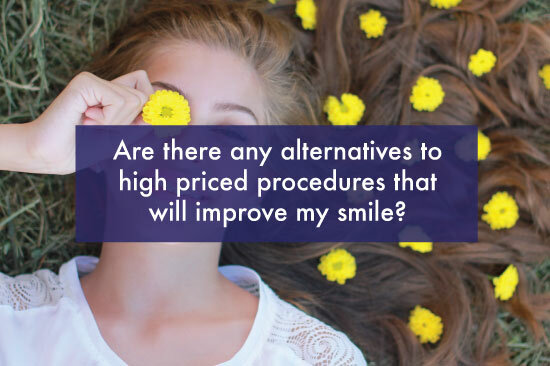 Question: Are there any alternatives to high priced procedures that will improve my smile? ZOOM Whitening - I call it instant gratification whitening. Yellow teeth are a tell-tale sign of aging and this is a quick way to turn back the clock with immediate results. You may need more than one session if you want to get REALLY white. Resin Bonding - This can actually be a fairly long lasting cosmetic procedure at about 1/5 the cost of veneers with minor compromises. Your dentist can reshape and recolor your teeth with composite resin bonded directly to the teeth and is completed in one visit. "Manicuring" - If your teeth are the right color, maybe you just need them shaped-up to look more even and straight. This usually requires no shots and very minimal drilling. This can smooth up small to medium chips and even out teeth that aren't quite the same length. I had x-rays taken at the dentist recently and they forgot to use a lead apron...should I be concerned?